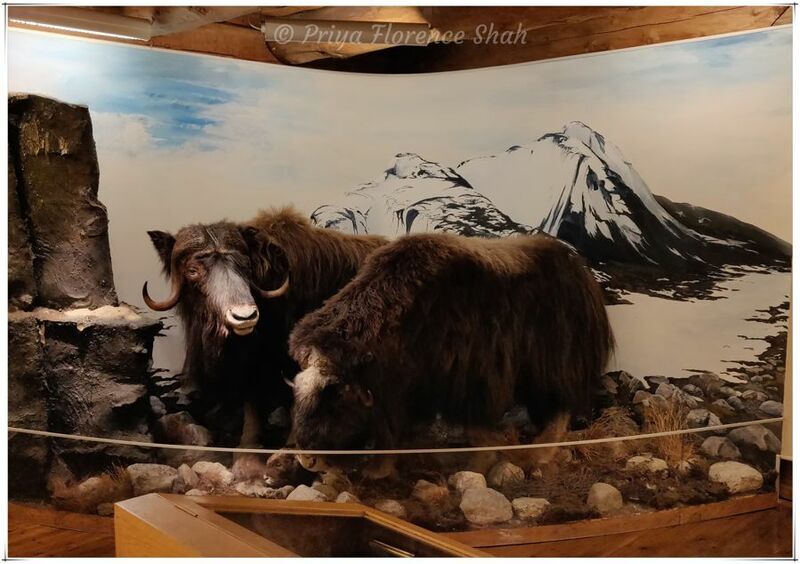 During our trip to Tromsø, in early September 2018, one of the places I was keen to visit was the Polar Museum in Tromsø, Norway. 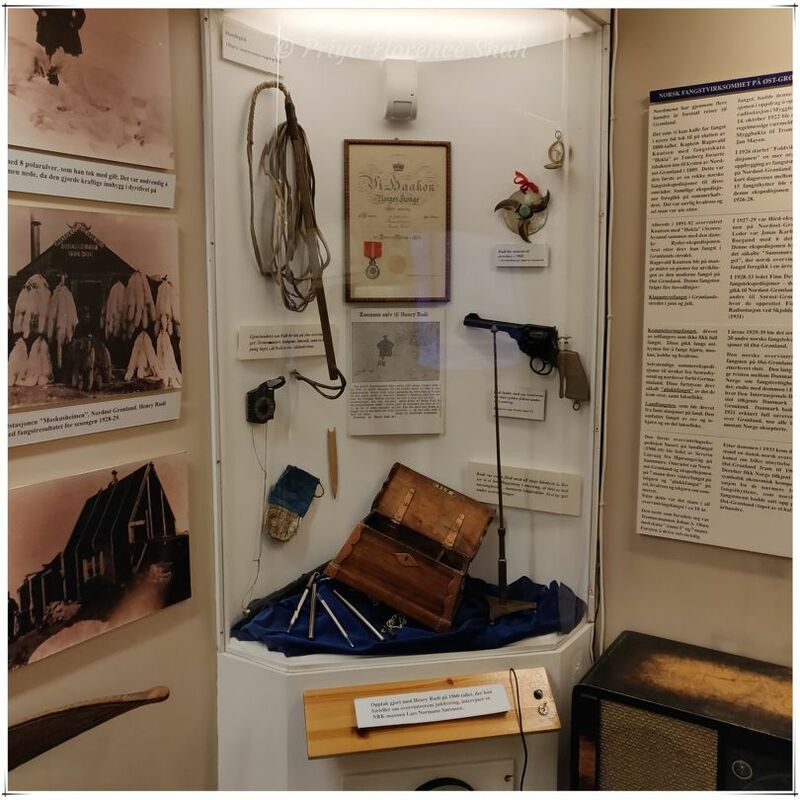 Fresh from having binge-watched the Netflix series, The Terror, a fictionalized account of Captain Sir John Franklin’s lost expedition to the Arctic in 1845–1848, and my interest in Polar exploration whetted, I was eager to learn more about Arctic explorers. 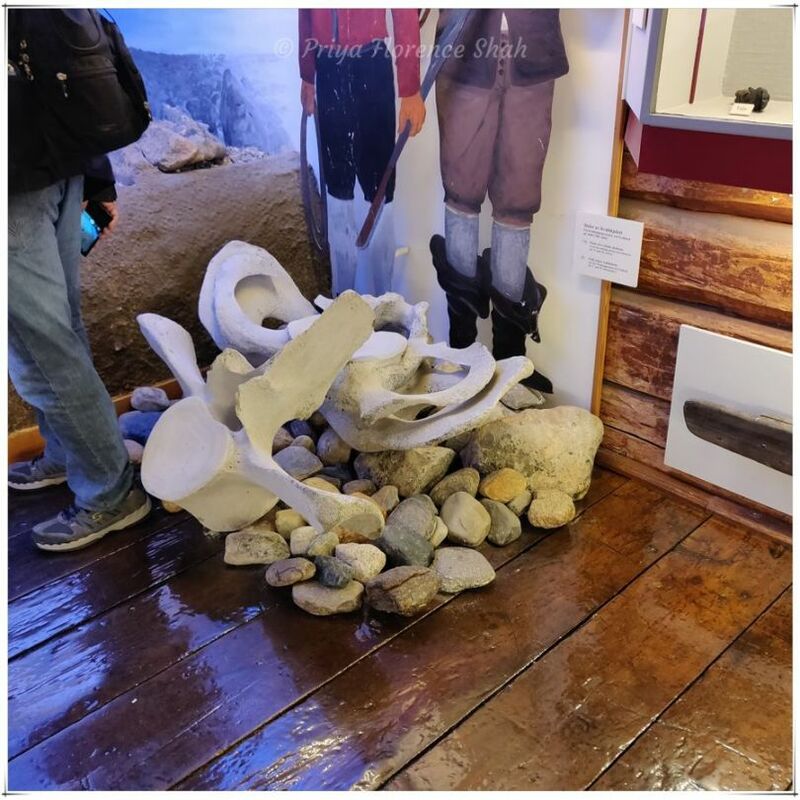 Located in former Customs House on the quayside – a stone’s throw from our Tromsø hotel, the Clarion Collection Hotel With – and dating from 1830, the polar museum in Tromsø is all about Arctic exploration and trapping. As the centre of seal hunting in North Norway in the late 1800s, Tromsø was the “Gateway to the Arctic” and an important base for many polar expeditions. 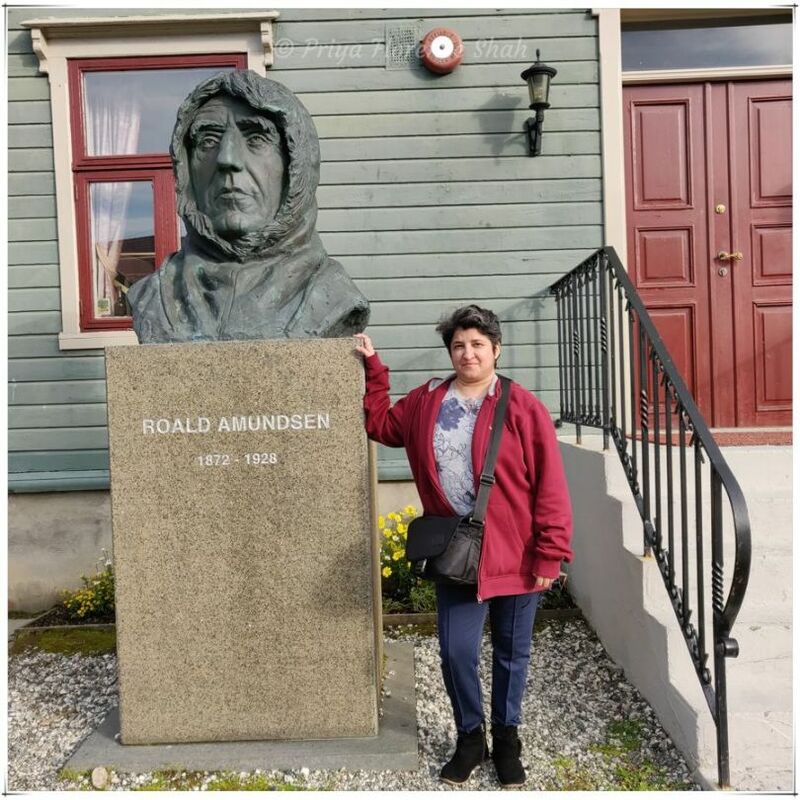 Near the museum is a statue of Roald Amundsen, the Norwegian polar explorer who led the Antarctic expedition of 1910–12, which was the first to reach the South Pole, on 14 December 1911. 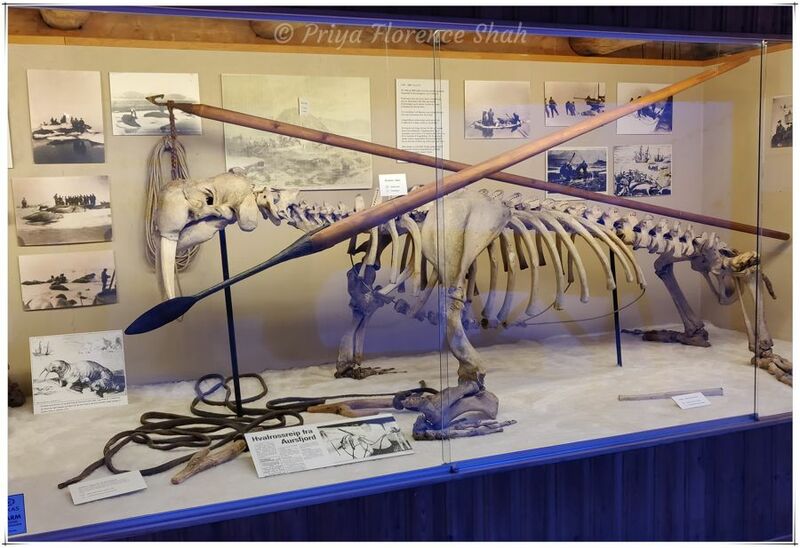 He was an important person during the Heroic Age of Antarctic Exploration and the first person to reach both poles. He also led the first expedition to traverse the Northwest Passage (1903–06) in the Arctic. 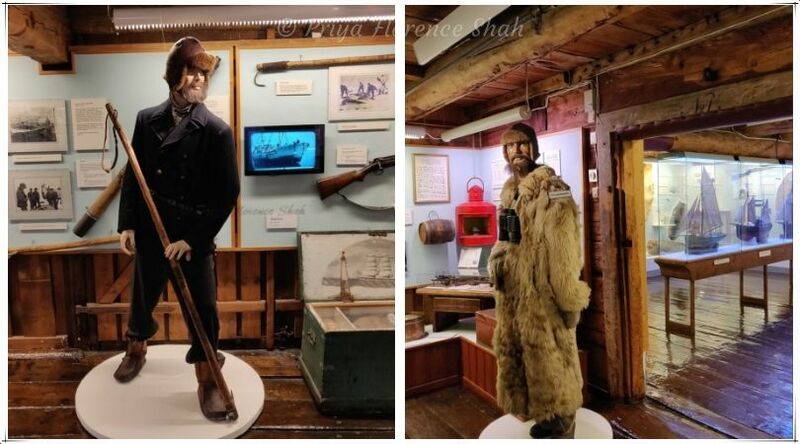 The museum is a shrine to these courageous men and women and the ships and equipment that were essential for life both on the sea and in the Arctic. 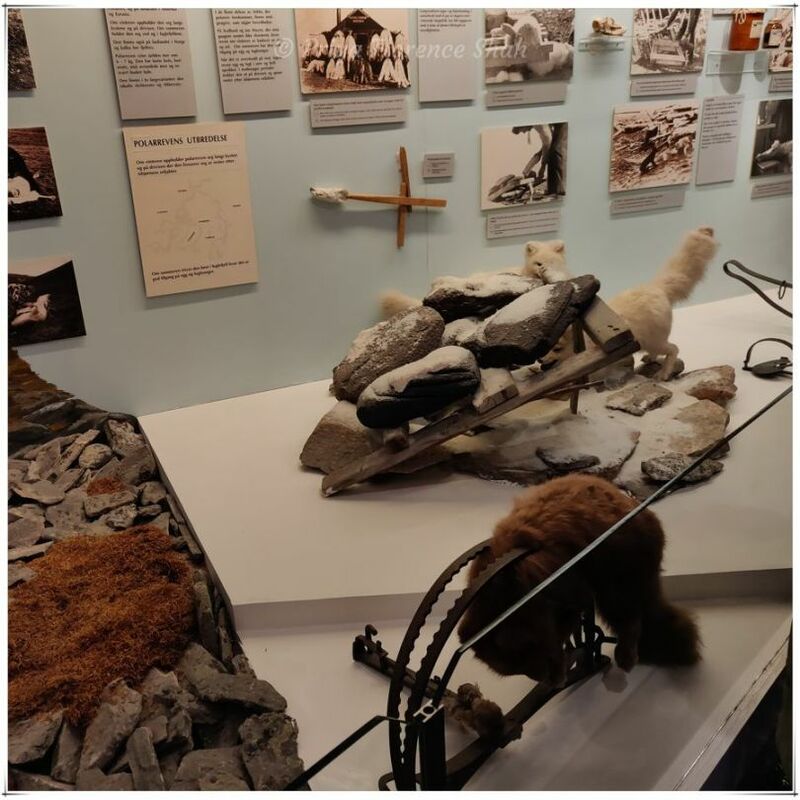 From the remarkably life-like exhibits, which ranged from macabre to fascinating, it is obvious that life as an Arctic explorer or trapper was hard and that they must have been used to great risk, hardship, deprivation and exposure to extreme conditions. I feel obliged to include a trigger warning for animal-lovers. 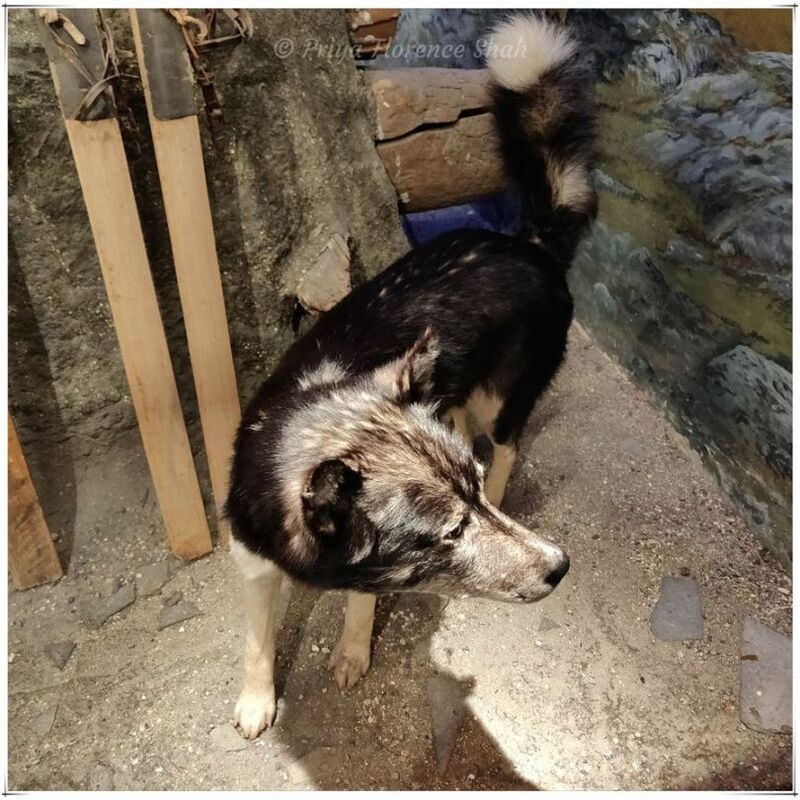 Some of the exhibits of animal trapping and seal hunting were downright distressing. 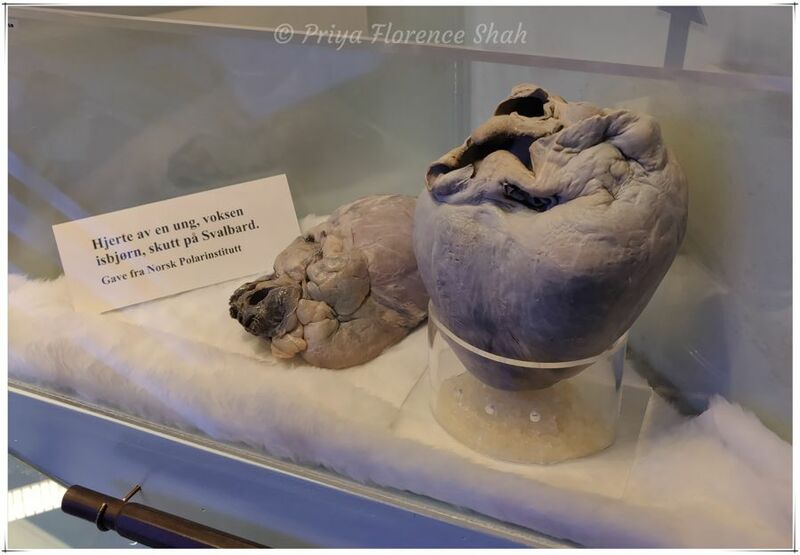 Here’s a photo-essay of some of the exhibits I found most fascinating. Many of the exhibits are not labeled in English so it was hard to figure out what they represented. 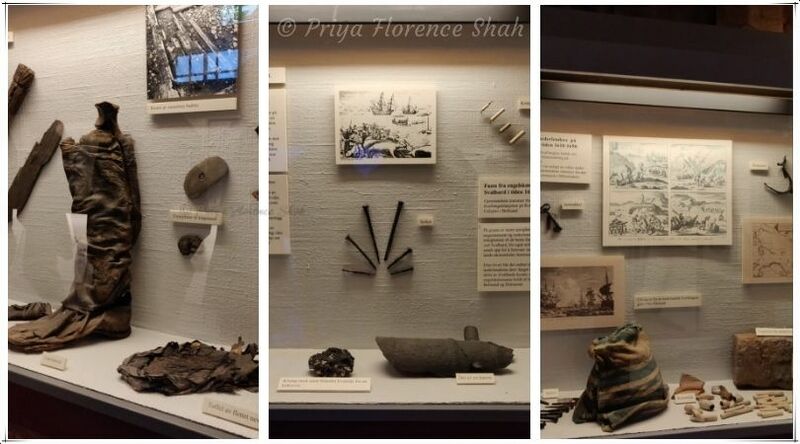 These, of course, showcase some objects used by explorers. 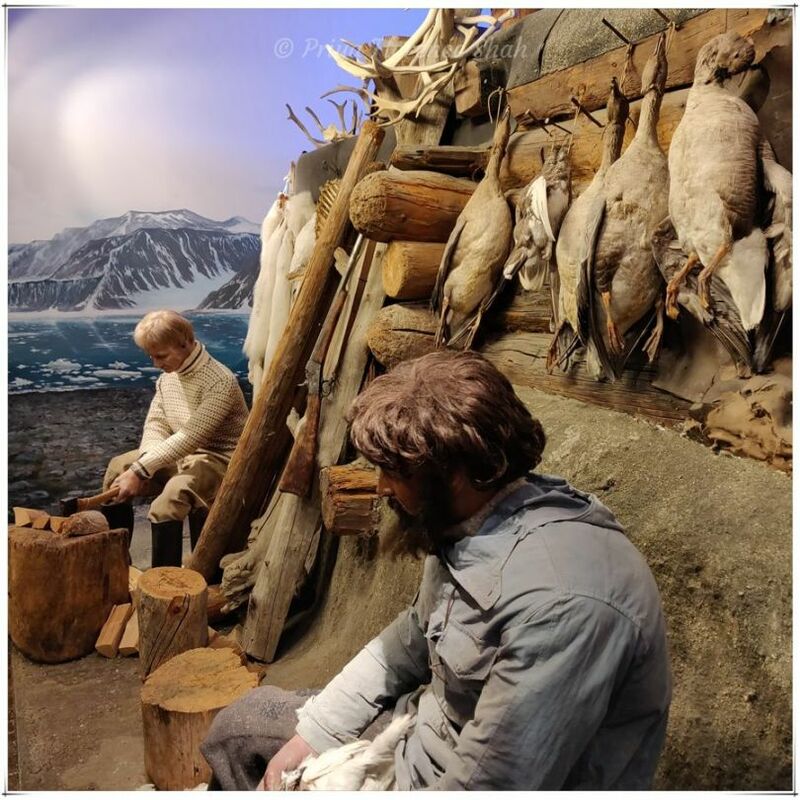 “Did stone-age people live on Svalbard?” asks this exhibit, showcasing life in the Arctic. 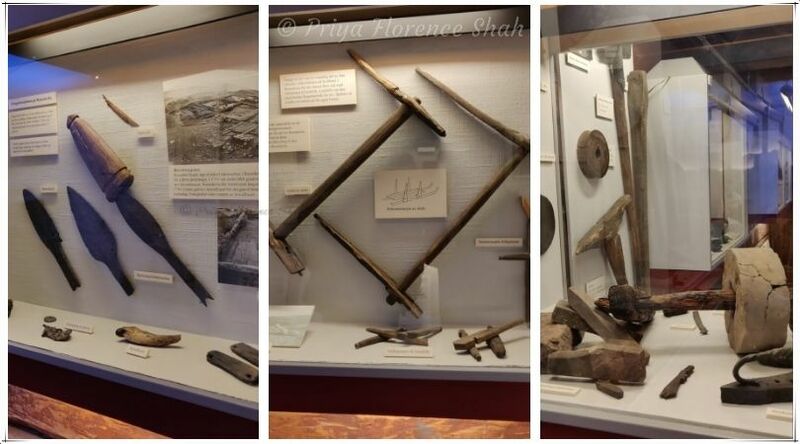 This exhibit contains British and Dutch graves that date back to the 17th and 18th centuries. 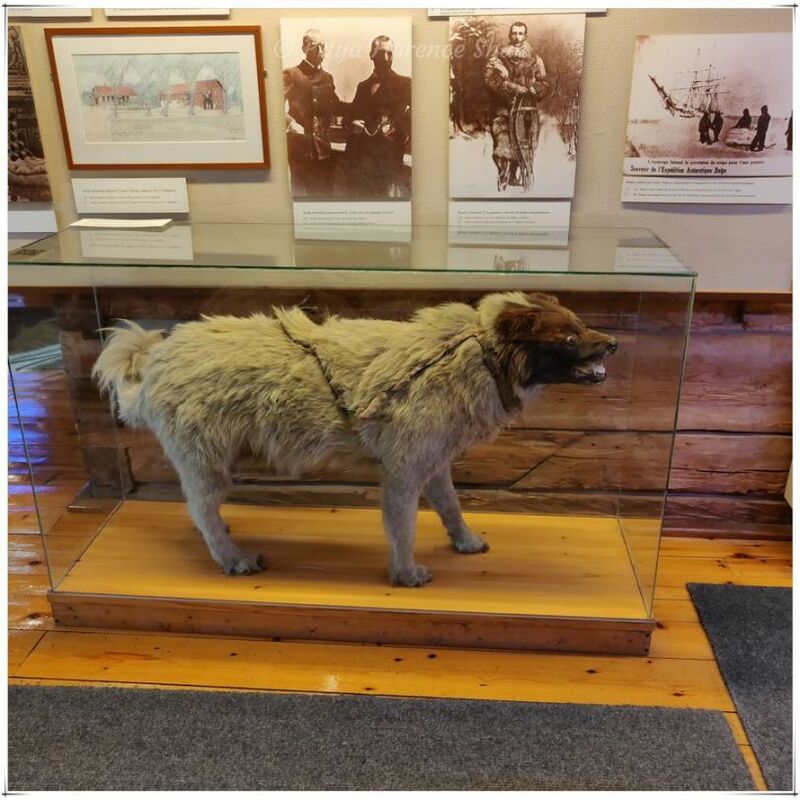 This dog accompanied Roald Amundsen at the Gjoa-expedition, the first navigation through the Northwest passage in 1903-1906. 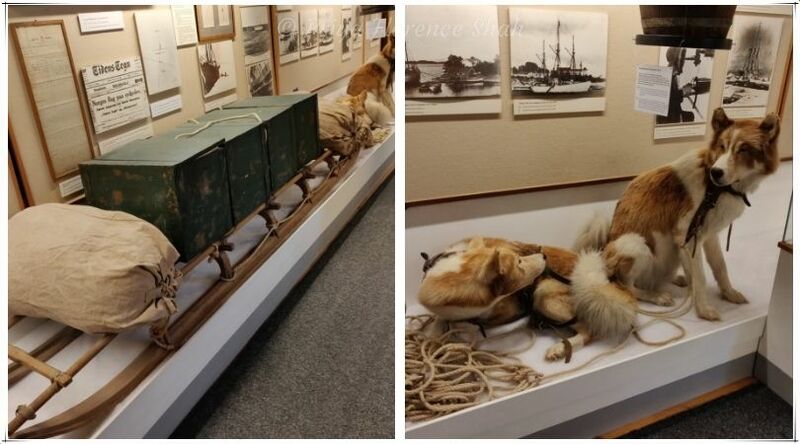 Objects that belonged to Norwegian trapper and polar bear hunter, Henry Rudi, who was born in Tromsø. We didn’t actually end up spending a lot of time inside the museum because the thermostat was set so high, we found it uncomfortably warm in all the layers of clothes we were wearing. 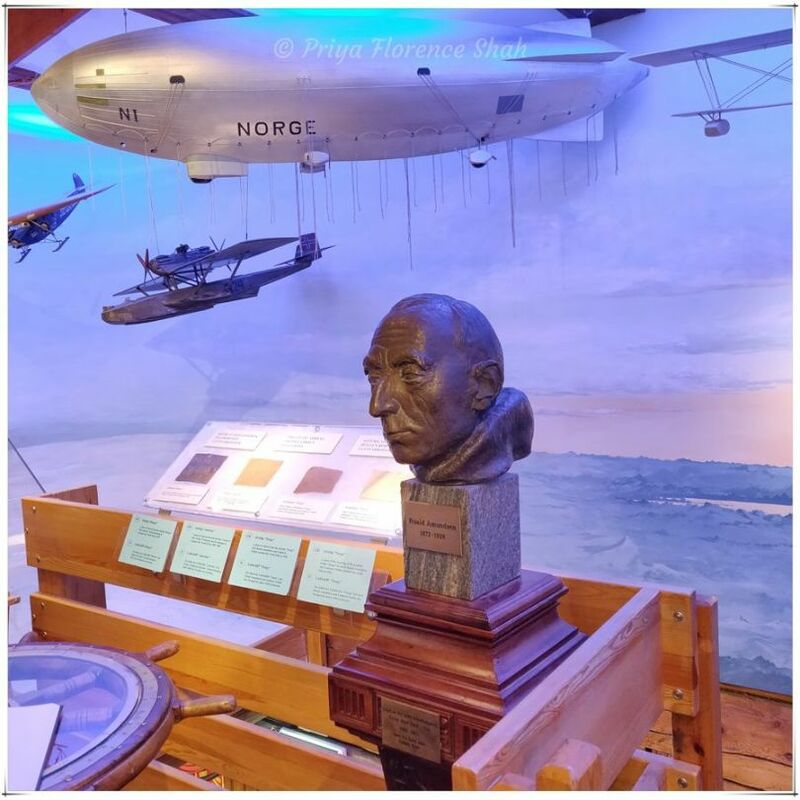 But if you like history and creepy stuff, visiting the Polar Museum in Tromsø is one of the things you might enjoy doing. Pretty macabre but pretty cool exhibit. I haven’t watched The Terror but that would add to the interest. 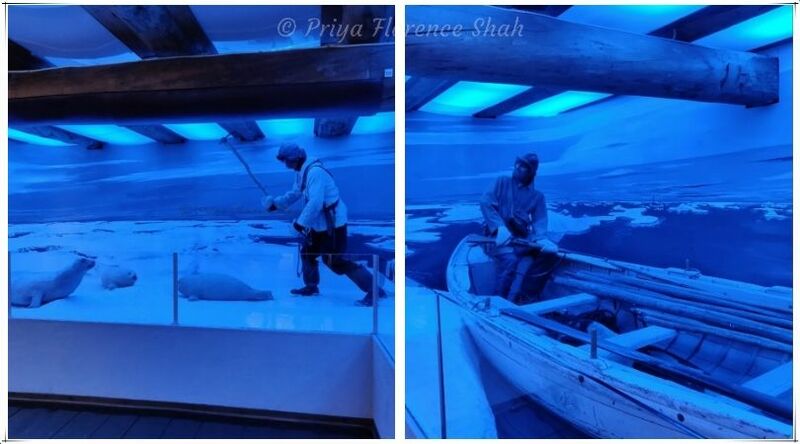 The explorations were a fascinating time and glad to hear there’s a museum to it. 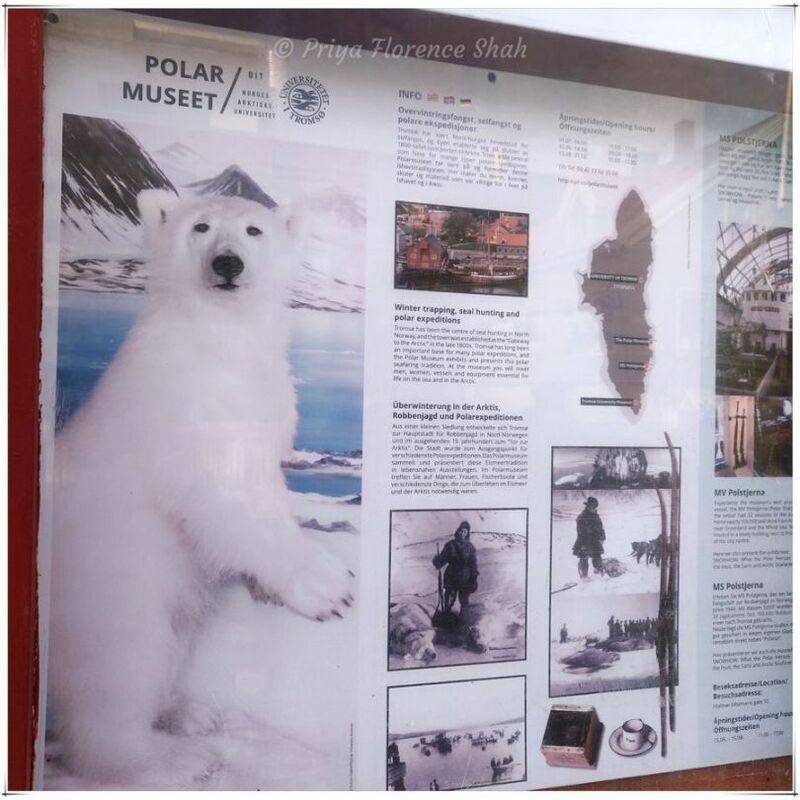 I find the Polar explorations quite fascinating. Ha Ha. It was quite the sauna. I was pretty hot and uncomfortable in my layers. Looks like a good spot for a quick stop, the exhibits look pretty dated. Did they have marterials in English as well? Considering that they’re from the 17th and 18th centuries, it’s no surprise they would look dated. There were few materials in English except for a brochure. 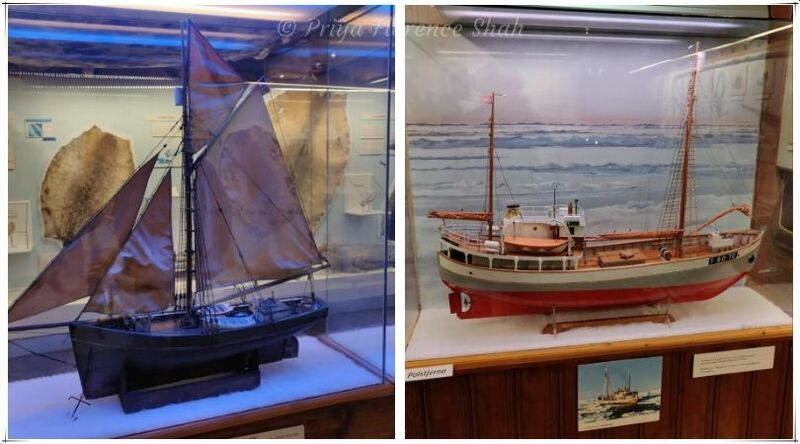 Being a model builder, the dioramas and the model ships fascinate me. The skeletons…well…macabre but hey, that’s part of the history of the place. Nice museum! Yes, it was quite fascinating. 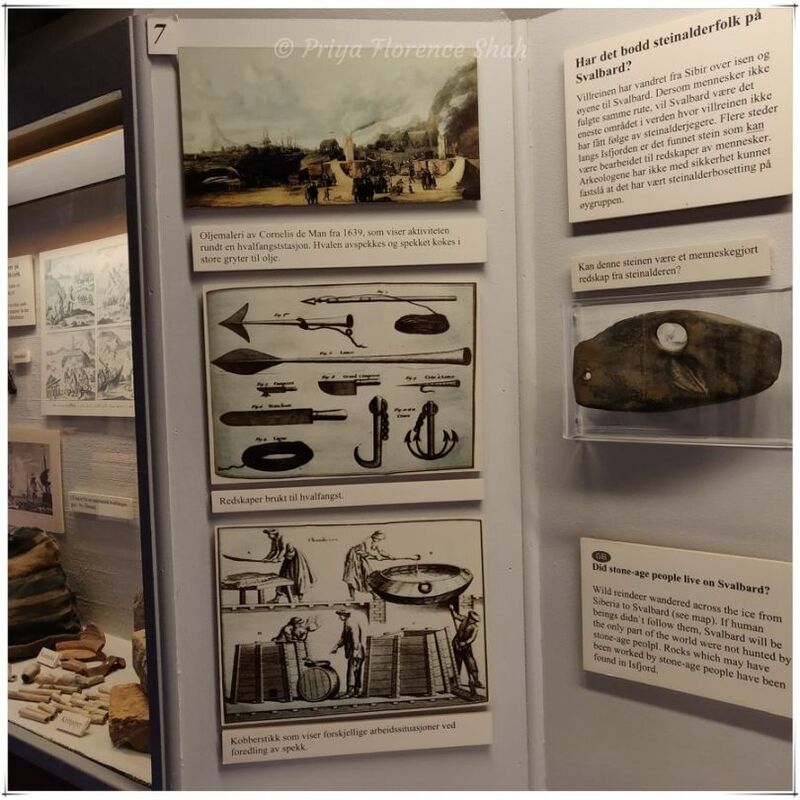 Definitely an interesting place to visit despite the fact that some of the exhibits may be distressing. I agree. If you put it in perspective you can understand that most of what these people did was for survival in pretty harsh conditions. 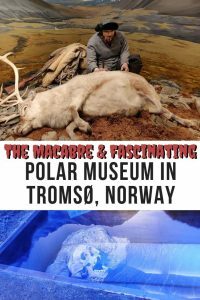 Wow, it looks amazing, if we try to forget about the really really good exhibits of animal trapping, but it’s fascinating just the tools and resources that the people used to get to the North Pole, also the graves look macabre as everything, but still it shows that every expedition had it’s share of accidents, also who ever did the taxidermy on that dog should be fired, I saw the picture and I won’t lie I remembered when I saw top 10 worst taxidermy animals and just laughed. thanks for the warning – however, despite that I always think it fascinating to learn about other cultures and their history and not to judge them by today but by the times and geography of when and where they lived. I still think it would be interesting to visit, despite some of the atrocities. I don’t judge them at all, especially after watching The Terror and seeing the hardship they had to endure to survive in those extreme conditions. 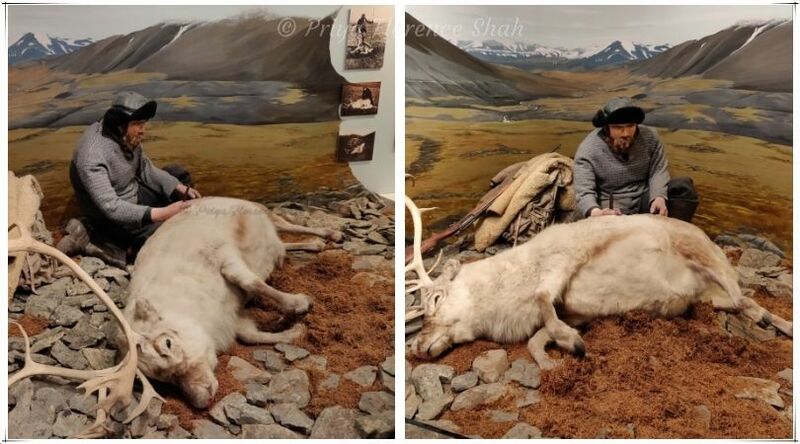 As an animal-lover, I’m just very sensitive to scenes of animals being killed or maimed. Glad you found it interesting, Rahma. 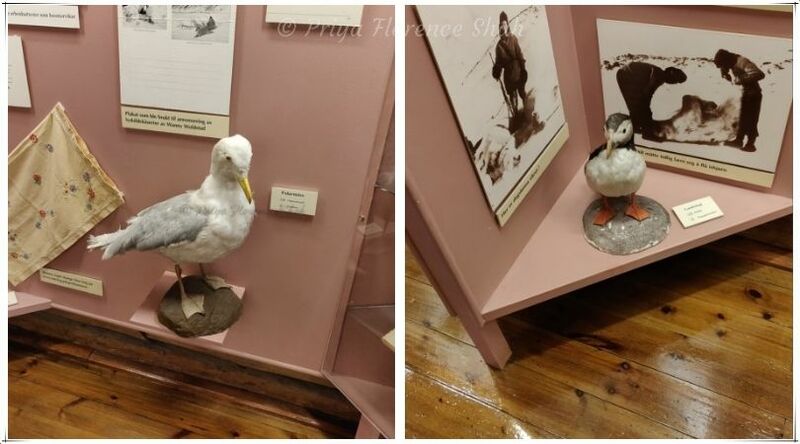 This does seem like a very informative museum. I feel there are not many places that can show us how life is and was like near the Arctic Circle but Norway is definitely one of them. It definitely seems like a lot of great information is available here. We would definitely want to visit here and learn more. 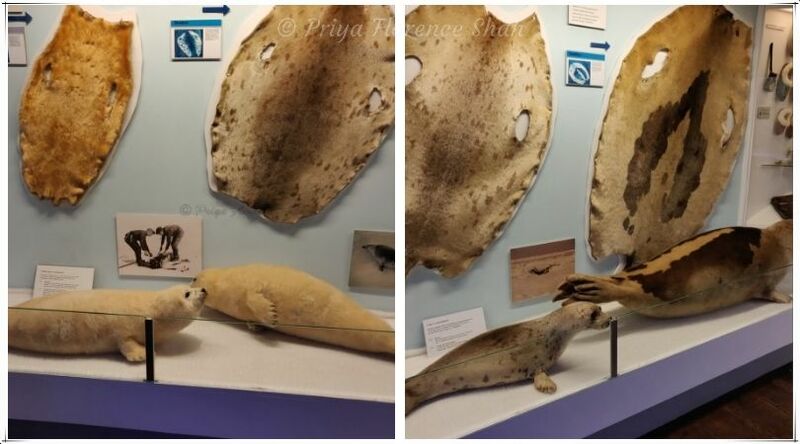 There are some fascinating exhibits, Christina. If it weren’t that hot and uncomfortable we would have spent more time exploring them. 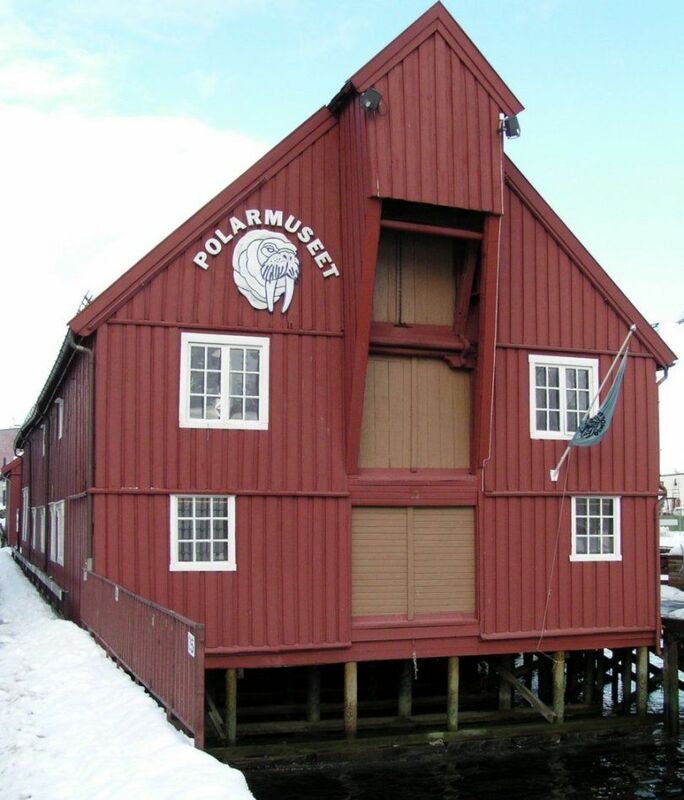 This is surely one very interesting museum in Norway. Museums always fascinate me. We get to learn so much from them. 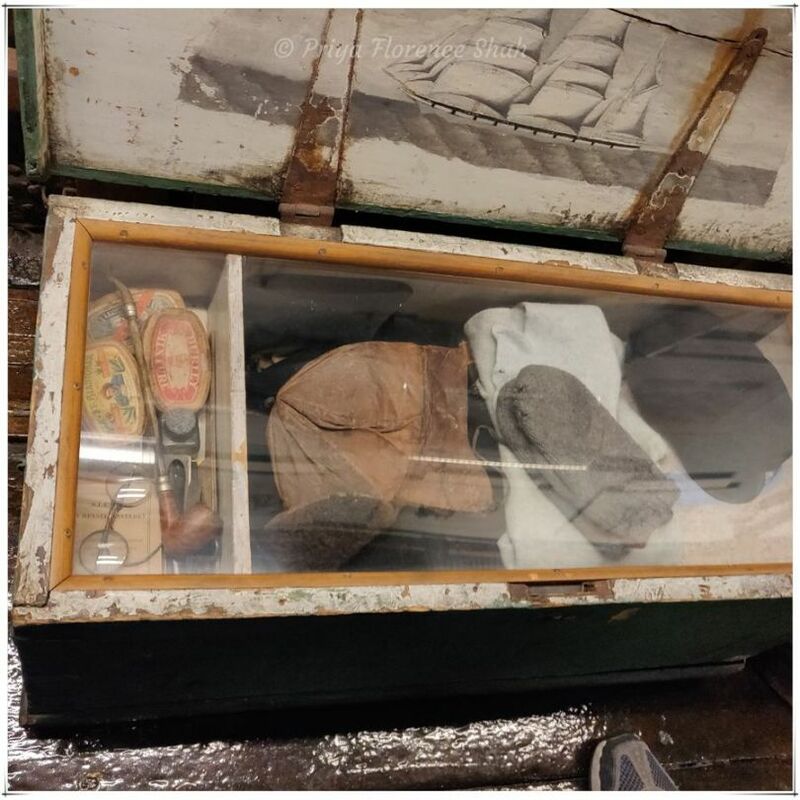 I loved how they have preserved so many stuffs in the Arctic. 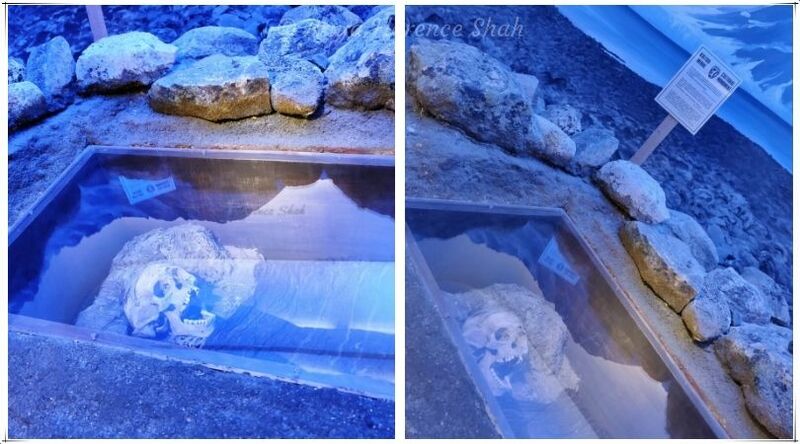 The old graves are from 17th-18th centuries and how they managed to preserve them. Also, the fauna of Arctic – they are all so much captivating. I agree, Shreya. It was fascinating and creepy at the same time. Very interesting museum, I did not know about this place before. I really like this air ship that looks like Zeppelin. It must have been fascinating to fly this thing over the Arctic.